In the on-going worldwide campaign to eradicate the unethical practice of mixing lab-grown synthetic diamonds with natural diamonds, that set alarm bells ringing in the diamond bourses across the world, international gem-testing laboratories such as the IGI, GIA, SSEF etc. have been in the forefront, diverting all their efforts in scientic research towards developing accurate devices that could easily differentiate between natural and lab-grown synthetic diamonds, that are both fast and user-friendly. Some of the devices that have already been developed and are in active use are the De Beers’ DiamondSure and DiamondView machines and the GIA’s DiamondCheck machine unveiled in January 2014. Melee diamonds – Natural or lab-grown ? However, the most serious potential threat that has attracted the attention of diamond dealers worldwide, is the possibility of undisclosed synthetic diamonds being mixed with batches of melee diamonds, that could go undetected given the fact that a majority of the diamonds mined, cut and polished in the world are melee and the difficulties encountered in the screening of thousands of such small diamonds, especially in the context that most of the lab-grown diamonds also fall into this category. To address this problem, scientists of the Swiss Gemmological Institute (SSEF) based in Basel, Switzerland, have created an efficient machine that can distinguish lab-grown melee diamonds from the natural mined ones. The machine known as the Automated Spectral Diamond Inspection (ASDI) machine, has the ability to analyze large quantities of melee diamonds in a short period of time. The special feature of the ASDI machine, whose patent awaits approval, is that it can analyze polished round diamonds ranging in size from 1 to 3.8 millimeters in diameter, operating at an average sorting speed of 4,000 stones per hour. For each single authenticated diamond, the machine collects 14 high-precision size and proportion measurements in only 18 micro-seconds. 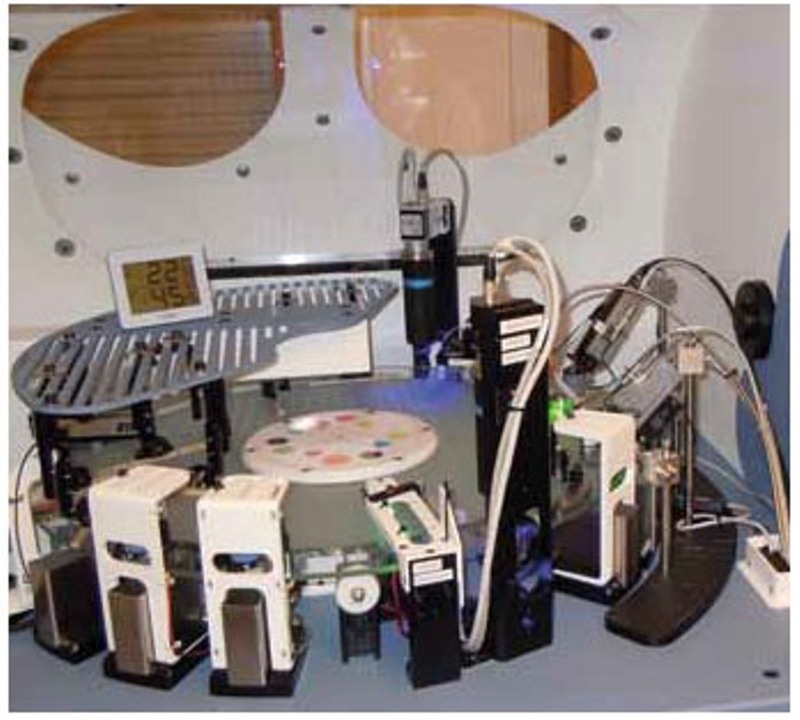 The machine can identify colorless lab-grown diamonds, both HPHT and CVD-grown, as well as colorless HPHT-treated diamonds. It only needs one operator to start a series of controls, and then ASDI can run autonomously. In comparison the De Beers’ Automated Melee Screening Device, scans stones between 0.01 carats and 0.20 carats in size and automatically sorts them into bins according to what it detects, and the GIA’s DiamondCheck machine, not specifically designed for melee, tests diamonds from one point to 10 carats in size, sorting them into three categories, natural and untreated; non-diamond; and further testing needed to determine treatment or synthesis. However, the GIA machine is not automated, requiring an operator to place each stone into the machine. The SSEF announced that its synthetic melee detector had undergone successful trials, and as of the end of February 2014, the company already had used the device to test approximately 400,000 diamonds that had been submitted for inspection by the Swiss diamond trade. It further said, that two major Swiss diamond suppliers and two Swiss jewelry and watchmaking companies have already placed orders for the ASDI machine.